Ladies and Gentlemen... I present you with Brunchfast! Jack in the Box officially launched their brand new food venture today and they invited me along to surprise me with the big news. Jack really knows how to throw a party! He booked out the gorgeous rooftop bar E.P. 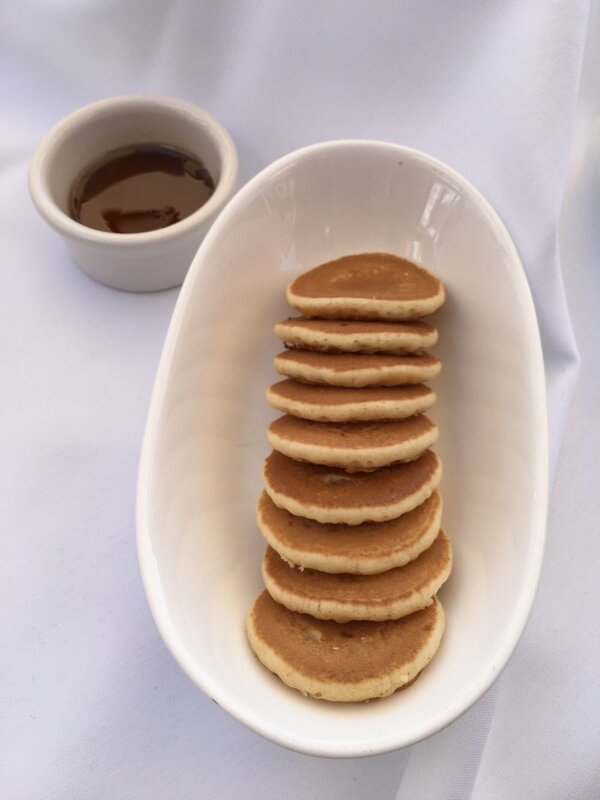 by L.P. in West Hollywood to announce his new Brunchfast menu as well as another big, big surprise. The new Brunchfast menu has 6 new items. They will be available 24-7. Breakfast/brunch all fall, everyday! How great is that? 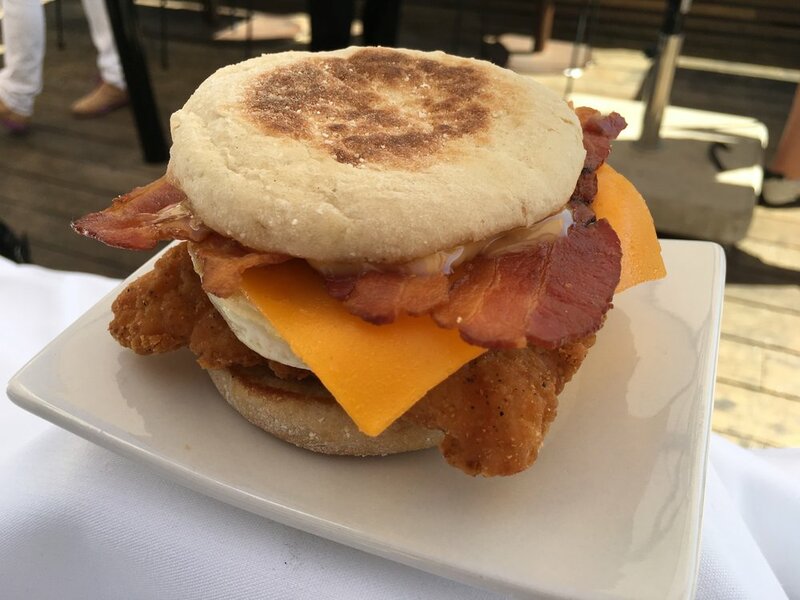 On the left, we have the new Bacon & Egg Chicken Sandwich, which has a toasted English muffin served with Jack’s Homestyle crispy chicken fillet and topped with hickory smoked bacon, cheddar cheese, bacon mayo and a freshly cracked fried egg. The middle picture with the croissant looking burger is the new Brunch Burger. 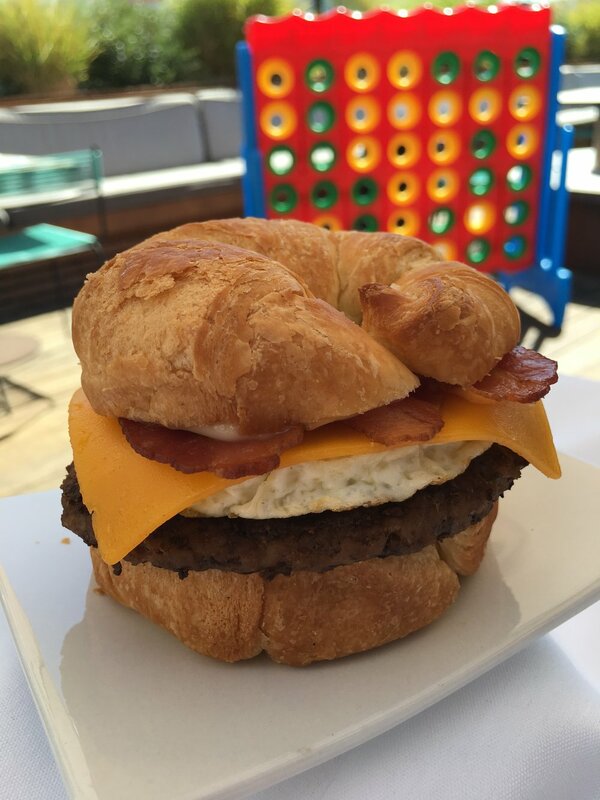 It has a buttery croissant topped with a juicy beef patty, freshly cracked fried egg, hickory smoked bacon, mayonnaise and American cheese. The right is the Southwest Scrambler Plate with scrambled eggs with roasted peppers, diced green chiles and pepper jack cheese. Served with Homestyle Potatoes, hickory smoked bacon or sausage and a buttery croissant. Jack also introduced some delicious sweet and savory sides to go with his new Brunchfast entrees like Homestyle Potatoes, Orange Cranberry Muffins and Mini Pancakes. The guests including myself were treated to some cocktails for Jack's party. The Blood Orange Fruit Cooler is part of the new Brunchfast menu is Blood Orange Fruit Cooler. 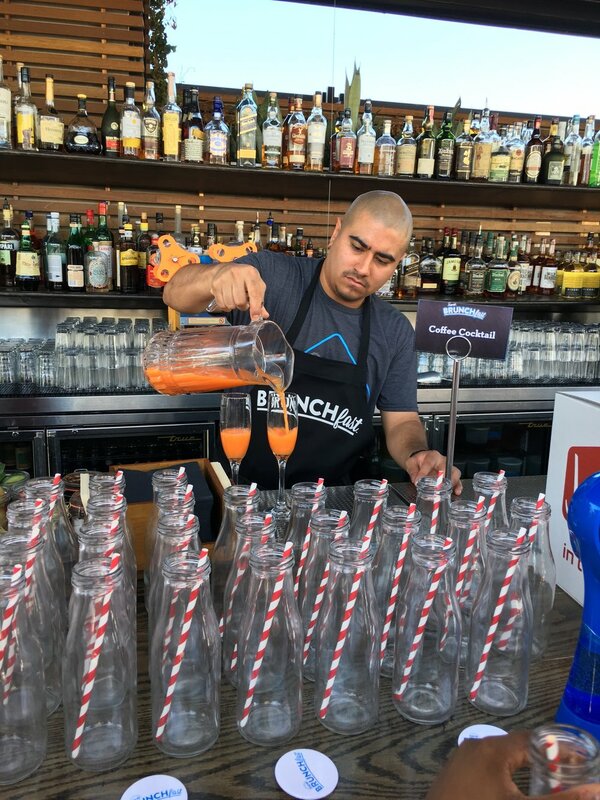 For the event, the bartenders made it into a mimosa. Delicious! There was also a coffee cocktail available made using Jack's coffee. I had never tried Jack in the Box's coffee before. It's really good! I ended up having a taste of this special alcohol version and the regular coffee too. Thumbs up. Definitely going to start doing some late night coffee runs at Jack's! I took a break and even got my caricature done. There were lots of fun activities to do as we awaited Jack's other big announcement. What could it be? Jack introduced us to his wife Cricket and dropped the bomb shell that she's expecting! Congratulations Jack! This Brunchfast launch was also a surprise baby shower! There were mini Jack onesies for the future baby as well as little hints in decor that it was a baby shower. Best baby shower ever! Most baby showers are so boring, right? Jack even pulled out the stops and had his new Bacon & Egg Chicken Sandwich turned into a gigantic cake! And it wasn't just any cake. He had Duff Goldman from Charm City Cakes make it. You probably recognize his work from his hit show Food Network show Ace of Cakes. If you follow me on Instagram you probably remember when I got the opportunity to visit his store a few months back and watch them film an episode. He treated me to his cakes and I got to see first hand how he makes these insane cake creations. It was a real treat to be able to taste his cake again! I had to snap a photo of me and the happy couple. Don't forget, the new Brunchfast menu is available now at all Jack in the Boxes 24/7. Have breakfast at 2 am or 2 pm. It doesn't matter! I did a bit of a live stream for NOM as well. Click here to check that out. You can visit www.jackinthebox.com to see the entire menu and descriptions. All hail Brunchfast!